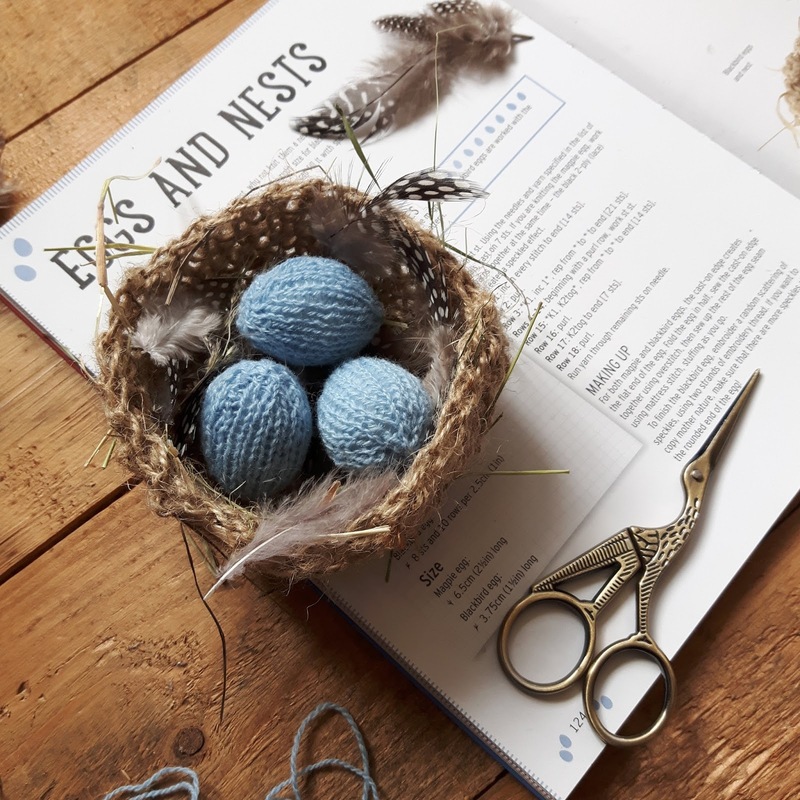 Spring is in the air and it’s the time of year that I love knitting little nests and eggs – they make lovely spring decorations for your home, or you can substitute the knitted eggs for chocolate ones, and you have the perfect Easter treat! If you’d like to knit a nest and eggs, the pattern is in my book Knitted Birds, published by Search Press. There may also be a nest or two in my Etsy shop if they haven’t flown off to a new home already (not that nests can fly, but you know what I mean).